Editor's note: Following along with a recent discussion in our Battlefield 4 forums, our Community Manager, Wicks has a nice summation of what many of us Battlefield fans are looking forward to when Battlefield 4 arrives later this year. 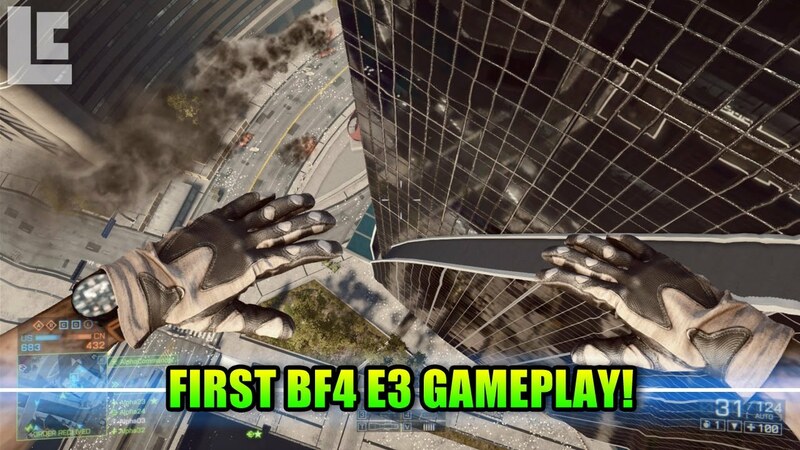 Tactical Gamer will be embracing Battlefield 4 to its fullest extent upon release, and we here as so many of you, are eagerly looking forward to its arrival. Battlefield Soup - Why BF4 may just have the right ingredients for Tactical Gamer. The BF series has a great history at TG, a great history with TG's playerbase. Through BF1942, BF2, BF2142 and several successful mods. It is a legendary franchise within the PC Community due to its potential and ease of access balanced with layered complexity. With the generational leap to BF3 I think it is fair to say many of us were suitably impressed with new level of visual fidelity, stunned by the near photo realism and almost overwhelmed by the atmosphere generated by the award winning audio. The gameplay was tight and the combat hectic and chaotic. It was fun to play. However, over time it became apparent to many that perhaps, just perhaps, BF3 wasn't quite the finished article. A few missing features here and there impacted on the games ability to foster teamwork in a readily accessible way. Viewed as a dish, say a bowl of soup, BF3 had a lot going for it. It was appealing visually, it had a lot of ingredients, a lot of spice but for some palates the balance was off. It just didn't quite come together, it wasn't quite the finished article. Now, as information starts to roll off the press regarding BF4, it is possible to view BF3 as a progression to 4. As videos and testimonials from testers reach us it becomes apparent that DICE may have added the missing ingredients to the BF soup that many have been clamouring for. Not only that, they also appear to be further refining the recipe, tweaking here and there, tightening things up and bringing a degree of harmony to all the various elements to produce the final dish. The elements being added and the refinements being made are leading me to hope this may be the BF soup I have been waiting for. Here's my list of why I think BF4 is an improvement over it's predecessor and why it will be a big success at Tactical Gamer. The introduction of dual optics is something I have long hoped for as is the increased flexibility with many weapons becoming free of class restrictions. Apparently certain weapons like the PDW, Carbines, Shotguns and DMR's are available across all classes. 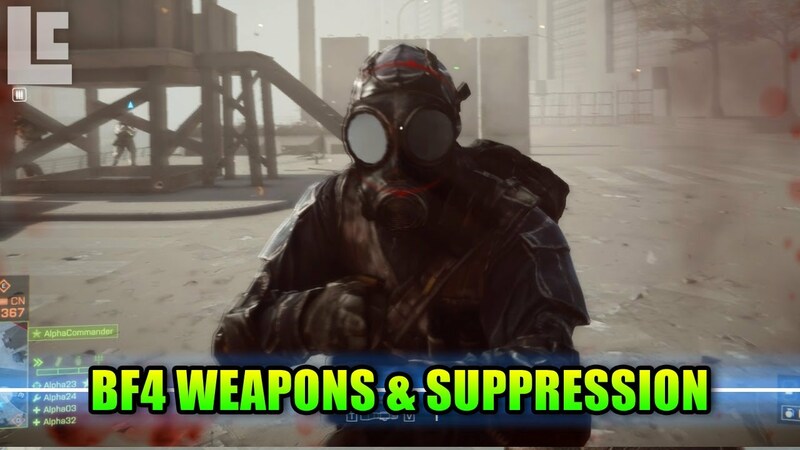 Suppression is very much toned down and it seems that only the LMG's and Sniper rifles really suppress. For me this all seems very logical in terms of balance. 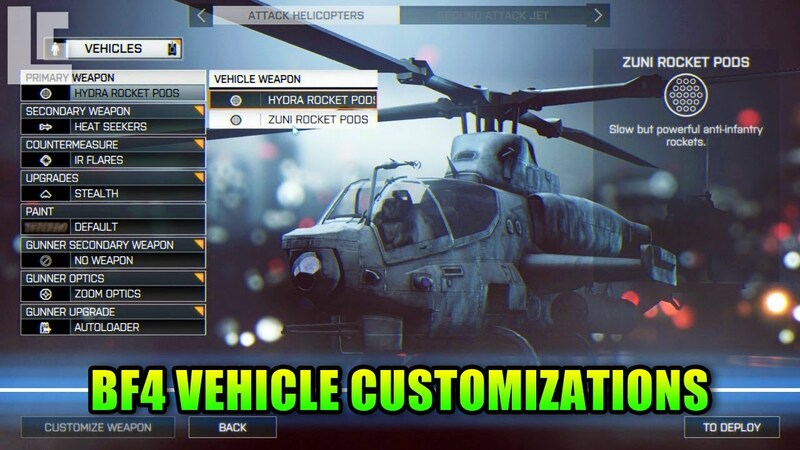 The amount of customisation seems improved, the menus somewhat cribbed from MOH:Warfighter (a good feature of that game). The improvements to the already atmospheric Frostbite graphics engine. It would appear they have toned down some of the extreme effects like glare and added in more swirling dust and debris etc, i.e. things that don't look overblown, look realistic and can have a real tactical impact on visibility. With Next Gen consoles moving to more powerful hardware and a unified X86 architecture frees up the Developer to effectively build for PC, as the consoles are just mid range PC's (if that). This could mean larger maps, more scope and scale. It should eventually unshackle all platforms and allow developers to put their foot on the throttle again as regards pushing the title forward. Ease of development should allow more focus on things that matter to all platforms and less on optimisation for the less powerful systems. BF3 has some award winning audio. The environmental audio is fantastic at times, so many little touches that really ramp up the atmosphere. However, I've often found the audio for the weapons firing to be lacking. Lacking punch, lacking 'power' and lacking the sense you are actually discharging a firearm. Many of the weapons sounded like you were tearing bubble wrap, that the assault rifle you were firing was actually little more than a toy. From the videos I have seen thus far the weapons sound much more like, well, weapons. The audio has much more punch, it has some bass but is crisp when the round 'cracks'. The sounds are more distinct, each is a separate element of a whole rather than a single 'smudged' sound. The weapons sound like they are made of metals not plastics, like they have solid moving parts. All these small elements lead me to believe that the weapons will sound more 'realistic', have more punch and ultimately be far more satisfying to shoot. Afterall, shooting the weapons is a huge part of the game. Reasons why BF4 can do very, very well at TG. 1) Passionate playerbase that extends beyond what many may regard as the traditional BF3 playerbase. BF is quite a unifying title. Through its various iterations and mods the BF series has reached pretty much every corner of Tactical Gamer, a good BF game will bring a lot of old faces out of the woodwork and reunite a lot of old friends. It will also create a lot of new ones. People who have just been a name tag on the forums that play 'some other game' at TG may just end up in your squad. With built in VOIP you will be able to introduce yourself easily. 2) TG is ripe, ready and waiting for another BF game, despite a few grumbles here and there the BF series has a lot of fans here (in fact its most likely because of that popularity and weight of expectation that any grumbles exist). 3) The lessons we have learnt as a community through BC2, BF3, 2142, BF2, PR and other titles. We have a ton of experience in dealing with these titles as a Community, players and Admins alike. 4) The feature list appears to be evolving and aligning itself with what we as gamers have come to expect from a title. We seem to be on the threshold of getting some of the tools we would like to enhance tactical play. 5) We all want this title to succeed. We want tactical play, teamwork and good times. BF4 is already looking like an iterative improvement over BF3, that is what a lot of us asked for, it appears we may actually be getting what we want. I may have to get this, though I have not played BF series since BF2: Bad Company. My concern is players can be successful with only loose coordination. This allows players to be more sloppy without being severely punished by the game. I hope we can bring tight coordination to our Tactical Gamer squads.